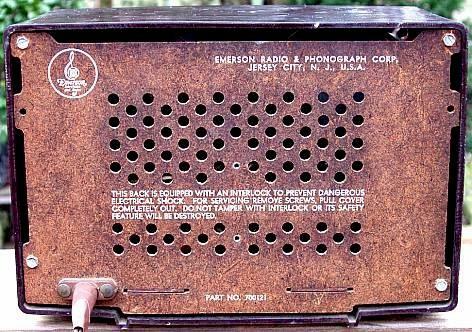 This nice AM radio was manufactured in the State of New Jersey! All Bakelite. 51 years young! It works good. 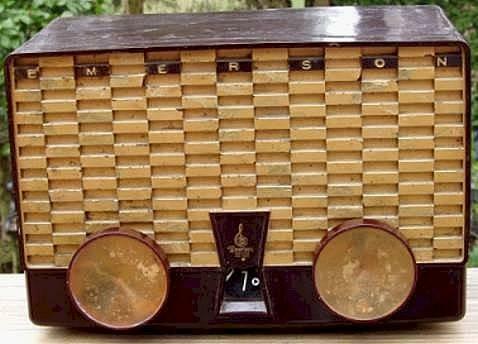 The low price of this collectible radio is because its electric cord has been taped. Eventually it will need a new electric cord. Special Attic price does not include S&H. You are visitor number 3,208 to this page.